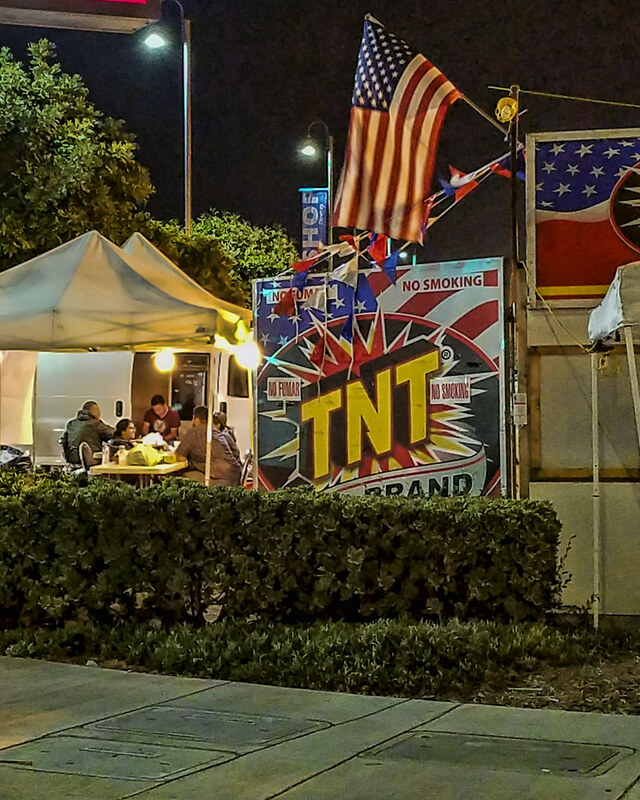 We are only a few days away from the Fourth of July and fireworks stands are set up all around Downey. Driving past this stand, I saw this group who almost looks like they are out camping, I have to imagine each of the stands have groups camped out to watch over the them at night. It wasn't midnight when I took the pic, but it made me think of the phrase to burn the midnight oil. I was curious to know where the phrase came from so I looked it up in Wictionary. The phrase originally referred to the act of burning oil in lamps for light and safety. This group definitely had everything well lit, but I hope they don't have to stay awake all night. For my final post of this decorated house, these cowboys stand watch out front. (At first glance, they make me think of Picasso's Three Musicians. Don't ask me to explain it, they just do.) It amazes me somtimes just how creative some people can be with scraps of metal! 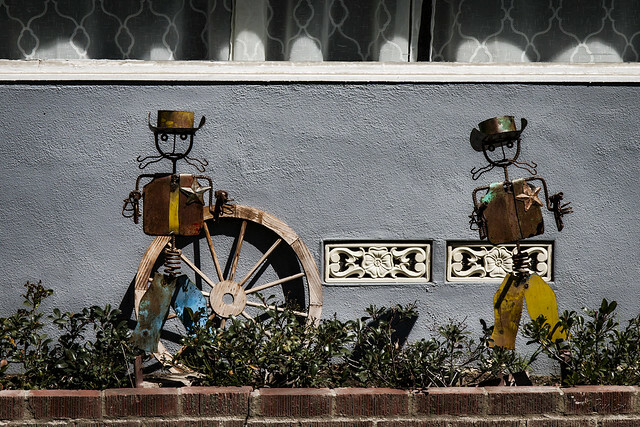 I was looking for another example of Downey's yard art when I came across this driveway. 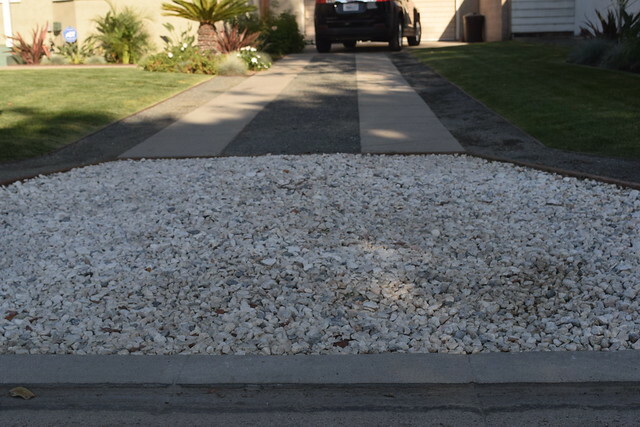 I have never seen a driveway created with so many different materials. The apron is made of white rocks surrounded by a wooden border. 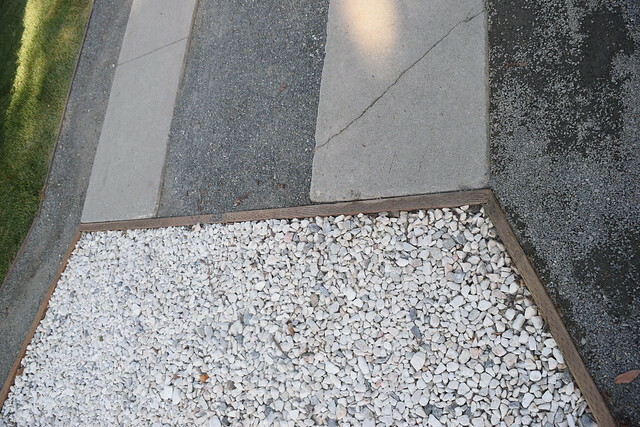 The drive consists of two rectangles of concrete, three rectangles of dirt with a thin layer of tiny black gravel on top. I thought it was very inventive and practical. Although, you'd better make sure you keep on the concrete on rainy days. 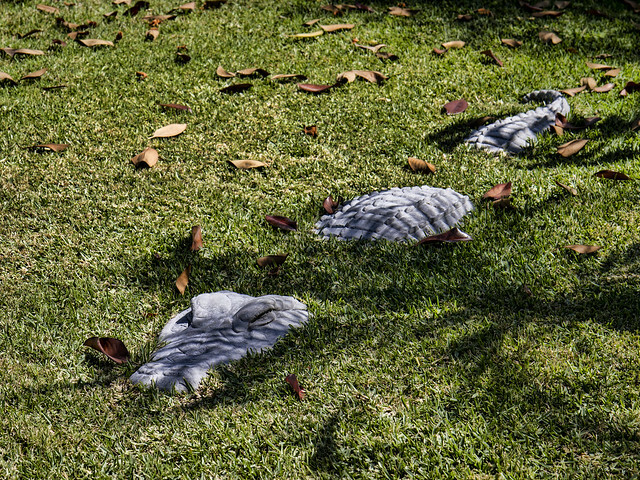 In the beginning of the week, Pam showed you some interesting yard art she found in Downey. 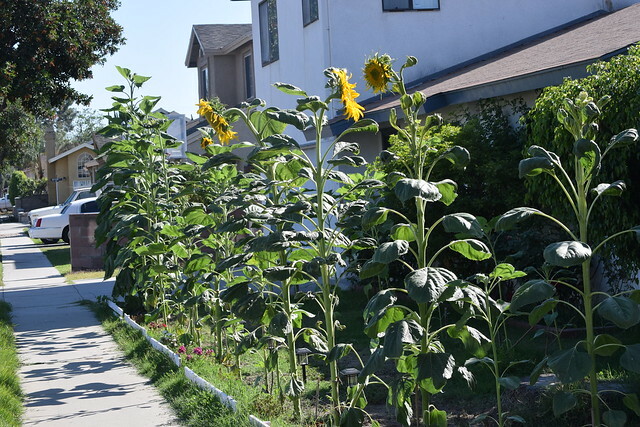 Well, on my ride home I came across this tall forest of sunflowers that someone used to decorate their front yard. 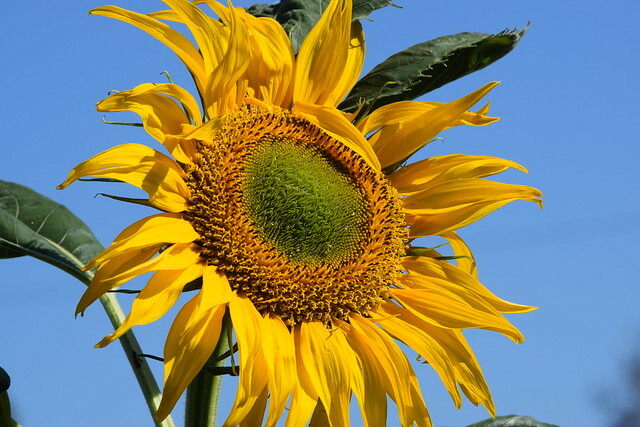 I have always loved sunflowers with their bright yellow petals and large seed area. They really do look like a sun. And I love their seeds. I like the new Downey sign on Firestone. Anchored with the line of palm trees, it looks impressive. However, I did just realize that it doesn't actually say welcome to Downey—I guess it is more of a sign that announces you are entering the city. Is a welcome implied? 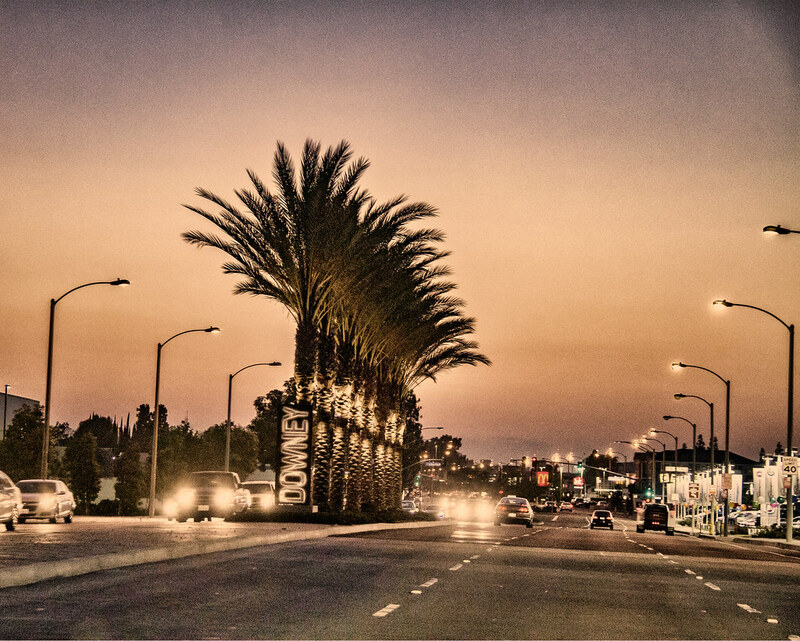 I do have to say I miss the old welcome to Downey sign that actually did welcome you to our city. "Welcome to Downey—Future Unlimited." Yesterday's yard art was all about the tree. Lower to the ground, there are creatures—from the partially submerged alligator ("alligators have wider, U-shaped snouts...") to what looked to me like a garden version Nessie. the sea serpent of Loch Ness fame. 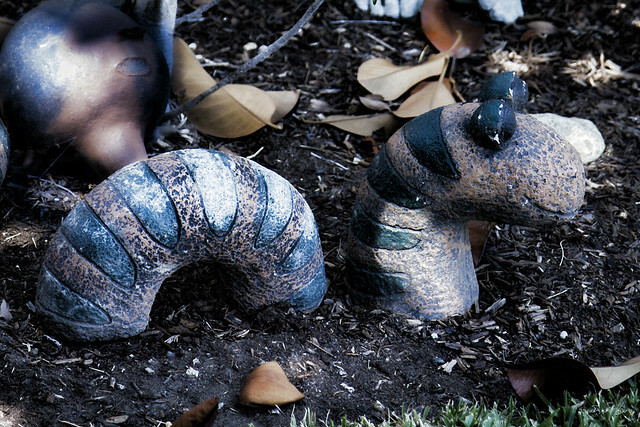 At DDP, we appreciate distinctive yard art. So I had to stop when I saw the variety of decorations at this house. It starts with the tree. 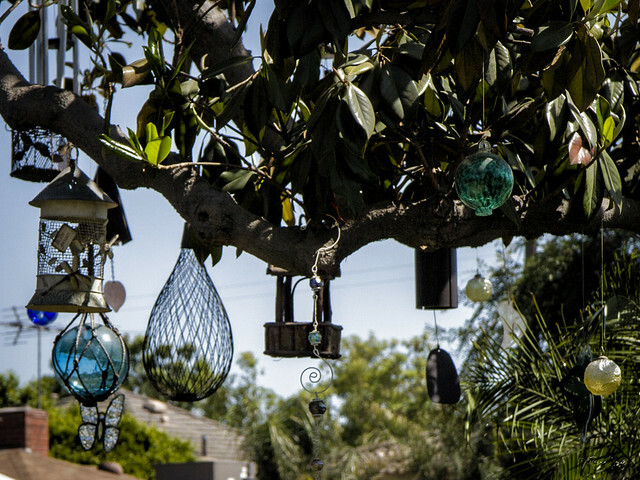 Once you start hanging a decoration or two, what's a few more? 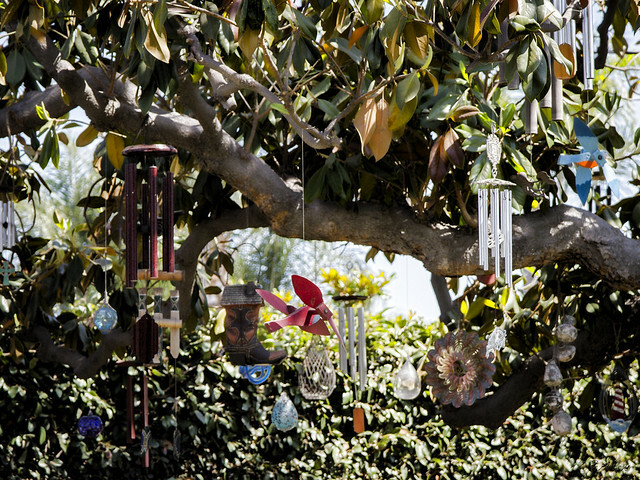 This tree is covered with unique and interesting decorations and chimes. (I can relate—I have my own tree at home that's covered with more clocks than are technically necessary.) With the chairs that have been placed strategically below, it's the perfect setting to relax and listen to the music in the gentle afternoon breeze. "If it doesn't move, decorate it." 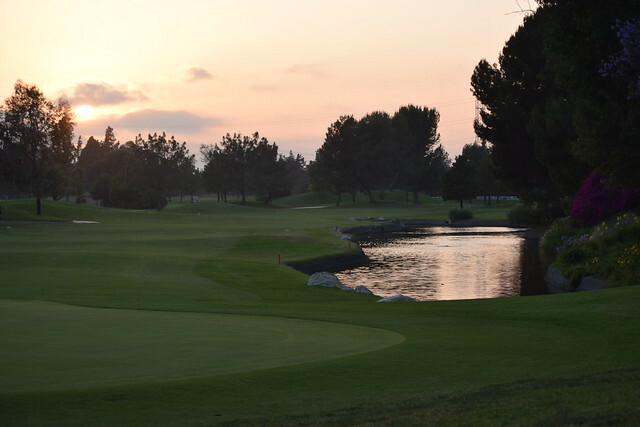 Yesterday I posted about Rio Hondo Golf Course and its beauty. 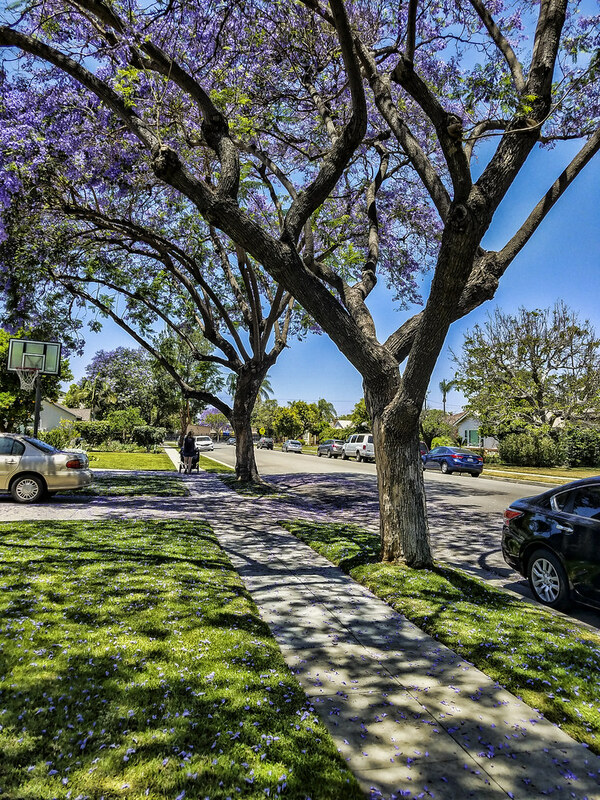 It is a lush and tranquil 18-hole golf course in the heart of Downey. 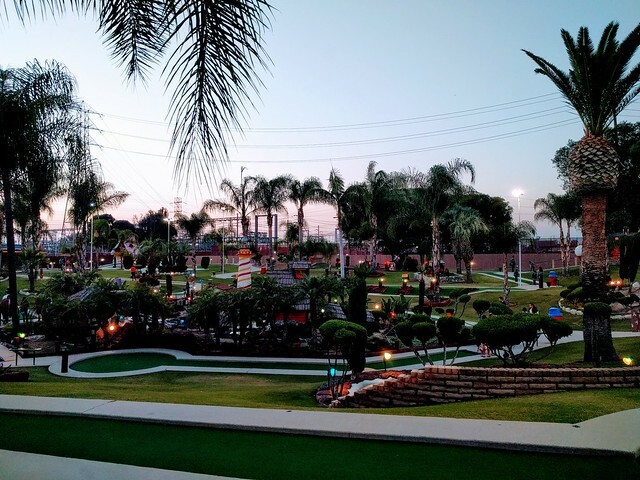 There is another kind of golf that we here in Downey can enjoy and it's located just over the Downey/Norwalk border. 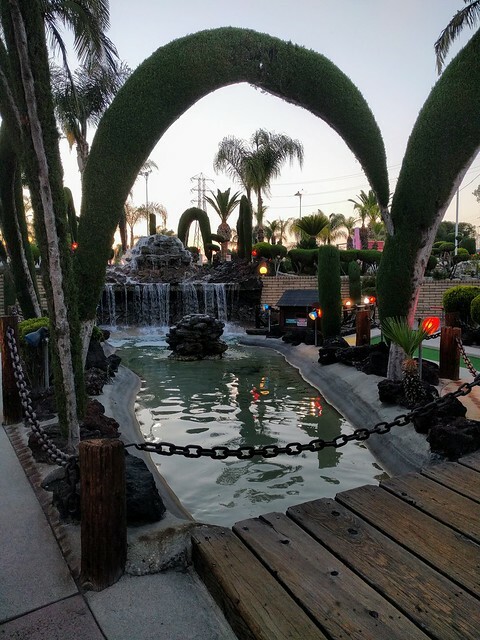 It is the Golf N Stuff Miniature Golf facility. 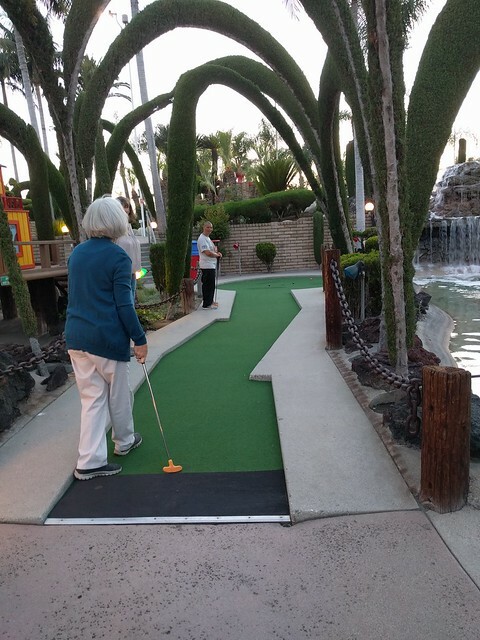 They have four 18-hole courses and a variety of other amusement rides and games. 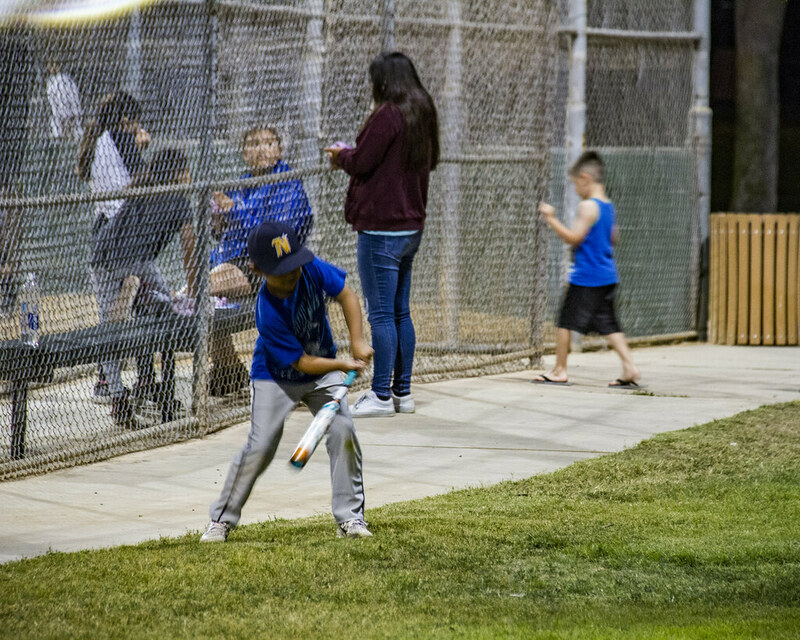 The grounds are well kept and make the game pleasant and fun for everyone. The patrons were of all ages this Friday night. We saw lots of families. This lady was the winner in her foursome. She had three hole-in-ones during the night. 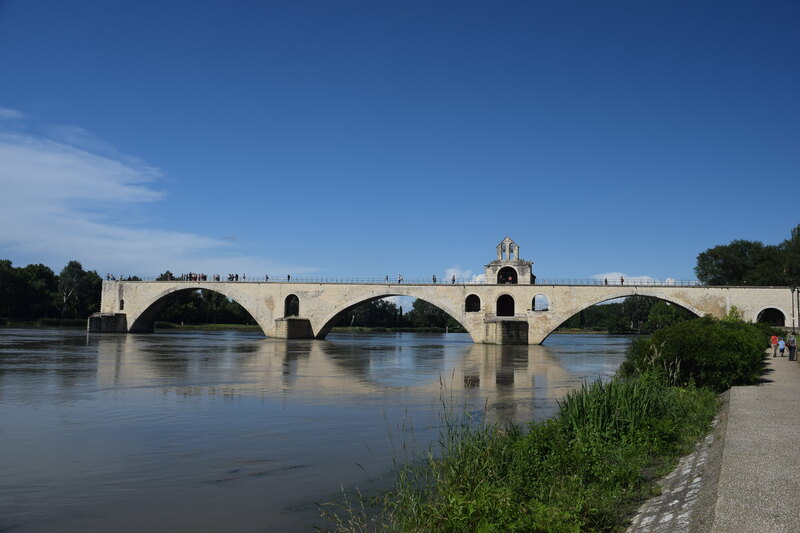 Today, June 21, is the summer solstice. The sun is at its furthest north latitude journey. It will now start heading back south. This means that today was the longest daytime of the year. 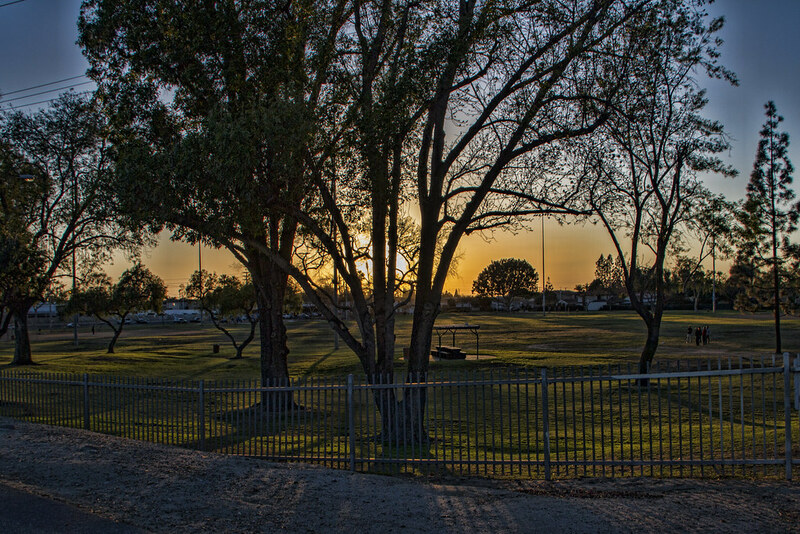 And what better way to utilize all this daytime but to get off work and get over to Rio Hondo Golf Course. They have special prices in the evening right now that allow you to rent a cart and play as many holes as you can get in before dark. What better way to spend one of these beautiful Southern California evenings. "Golf is a lot of walking, broken up by disappointment and bad arithmetic." 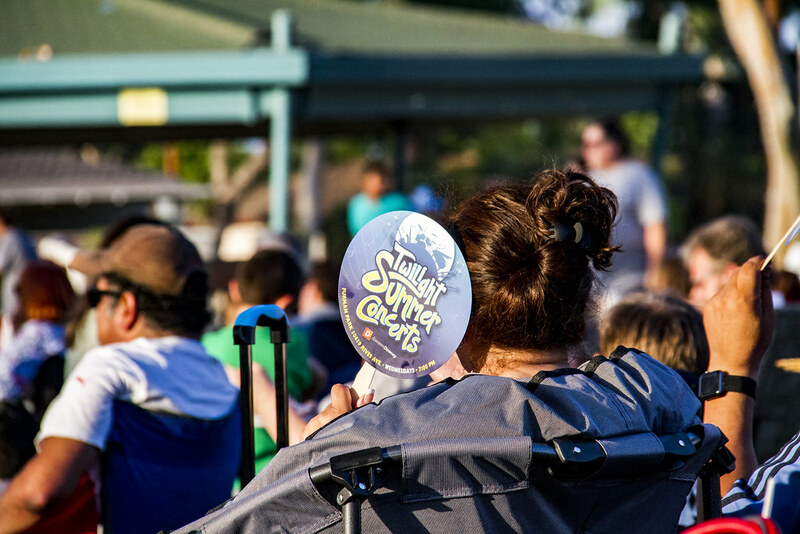 The Twilight Summer Concerts in the Park have started. 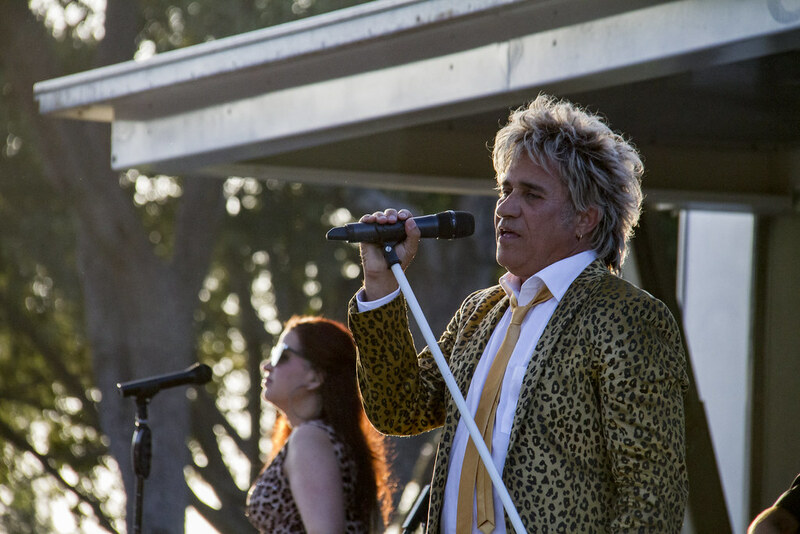 Tonight Atlantic Crossing, a Rod Stewart tribute band, performed many of Rod Stewart's favorites. 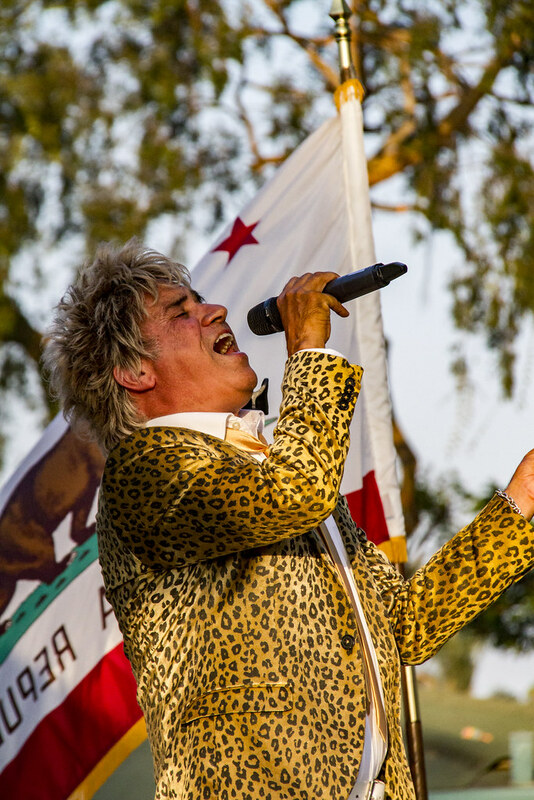 As I watched and remembered how much I love Rod Stewart's music, I realized that no matter how old he is, for me, Rod Stewart will be forever young. 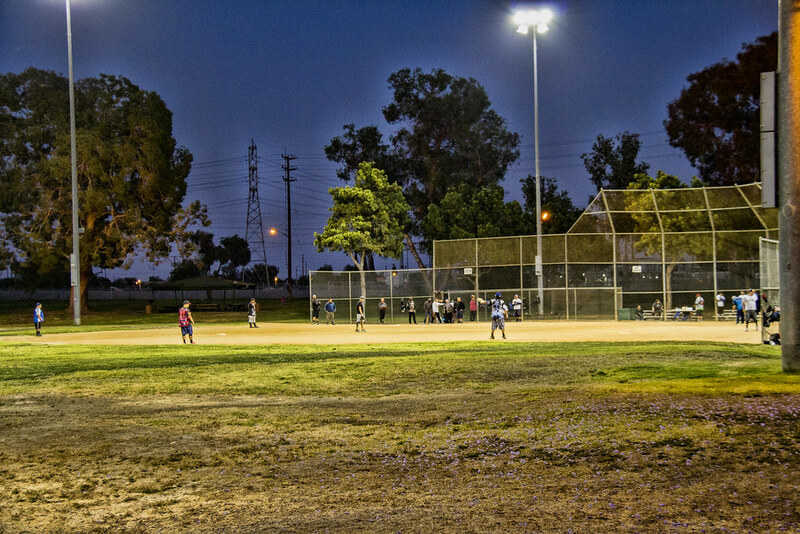 It is baseball season and evening at Rio San Gabriel Park is brightly lit for a local ball game. A group of small boys had their own game off to the side. 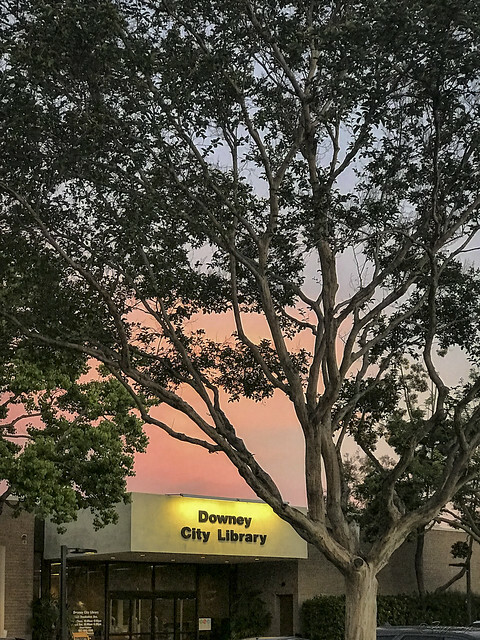 This picture combines some of my favorite things—books (the Downey City Library was a favorite destination when I was a child), sunsets (our crazy weather these last few days has made for some colorful ones), and wiggy tree branches silhouetted against the sky. 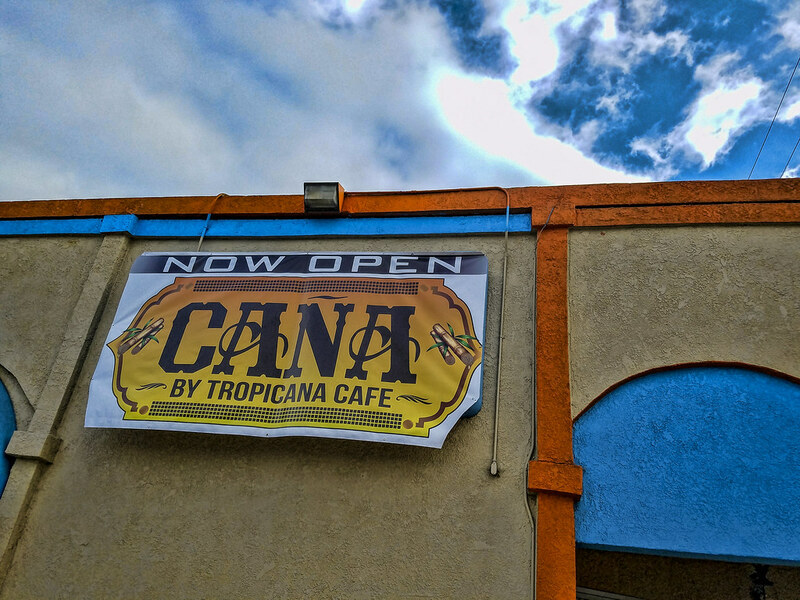 I discovered a new cafe in Downey—Caña by Tropicana Cafe. It is located on the corner of Firestone and Old River School Road. 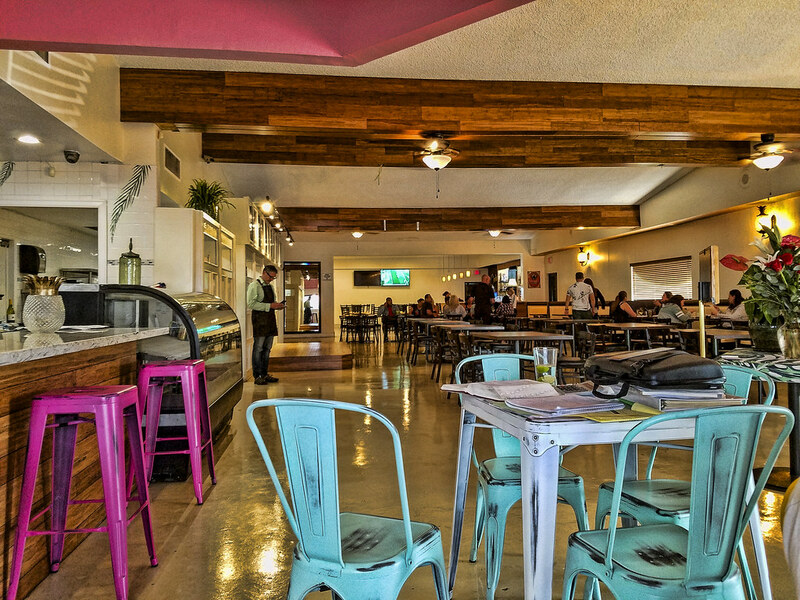 They serve Cuban fusion and the menu choices make it really hard to decide what to eat. I ordered a couple of the sliders and a side of yucca fries. 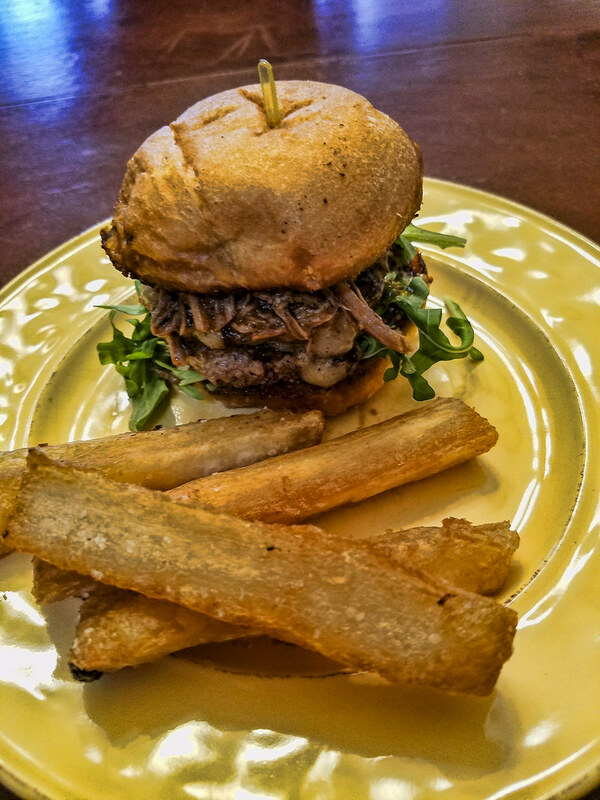 Here is a picture of the Ropa Vieja slider with some of my fries. Dinner was amazing. "I am not a glutton, I am an explorer of food." 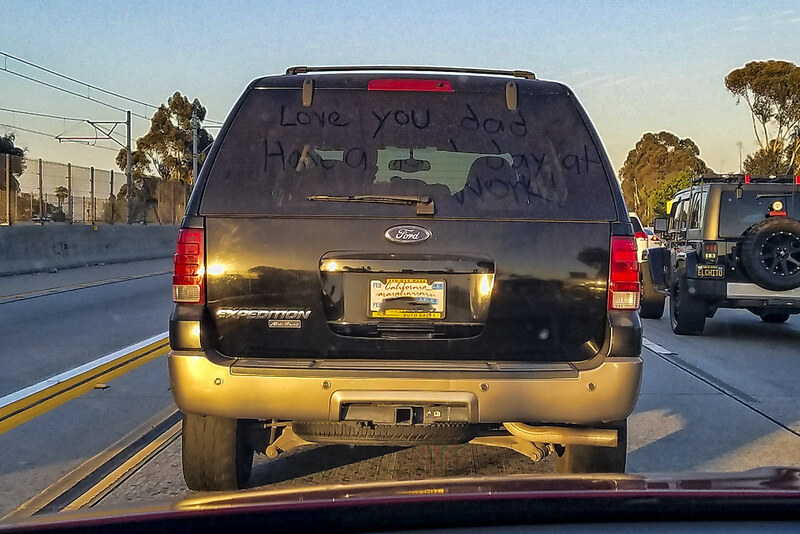 On my way home on the 105 freeway, I spotted this message on the SUV in front of me: "Love you dad. Have a great day at work.". What a sweet message for this dad. With this being Father's Day weekend, I thought the message was even more special. "A father is someone who carries pictures in his wallet where his money used to be." 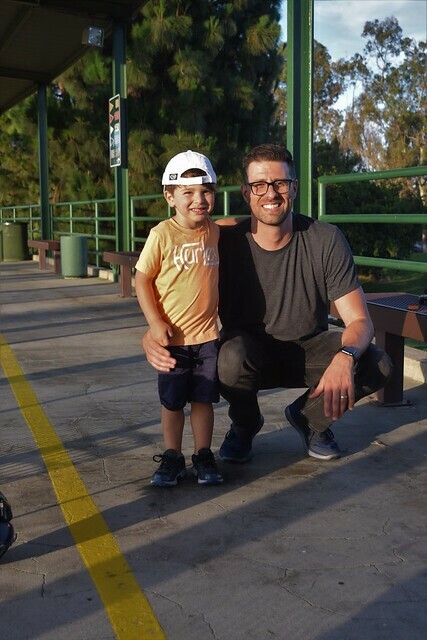 "I'm glad that I'm a dad. Andreas has brought peace in to my life. My father was always working. My dad immigrated in 1972, my mom came in 1975, and I was born in 1977. The immigrant work ethic was very strong in my family. To get ahead and give the children better than we had meant work, work, work. 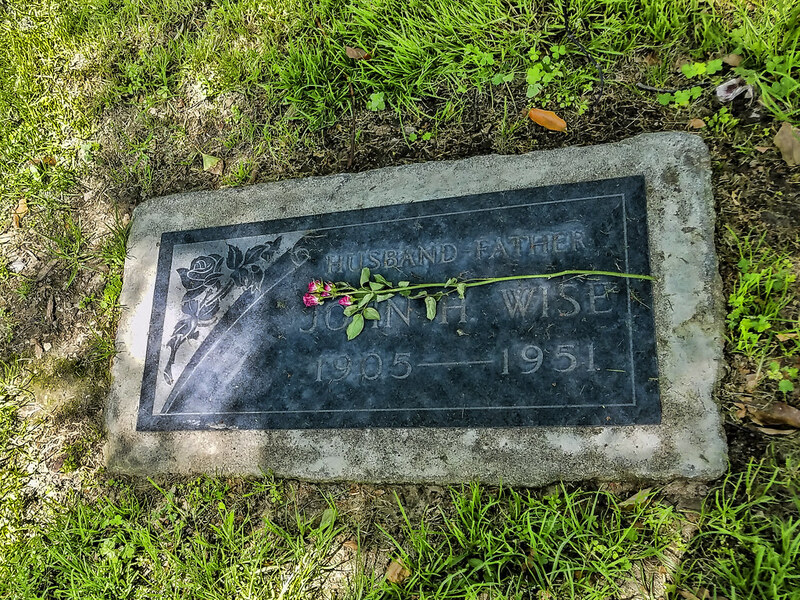 So, my dad wasn't around very much. Instead, I had my dad and my two uncles as my male role models. "I followed in my father's footsteps by choosing to work, work, work. But I don't think that's fair to him, so I have chosen to calm my life down and spend more time with him. 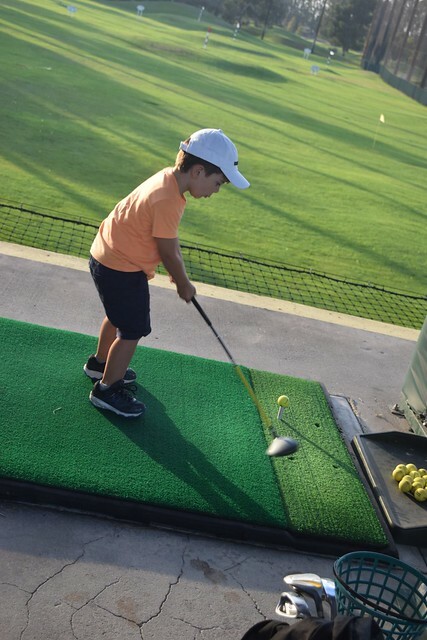 Bringing him here to sit and watch him hit golf balls is one way he helps me to be more peaceful. I had to step back and take a look at how I was earning money and see if I could be smarter about it. He is my future and if I want him to be a good person, then I'm going to need to be a role model and a mentor." "One father is more than a hundred schoolmasters." This Sunday is Father's Day. What plans do you have? 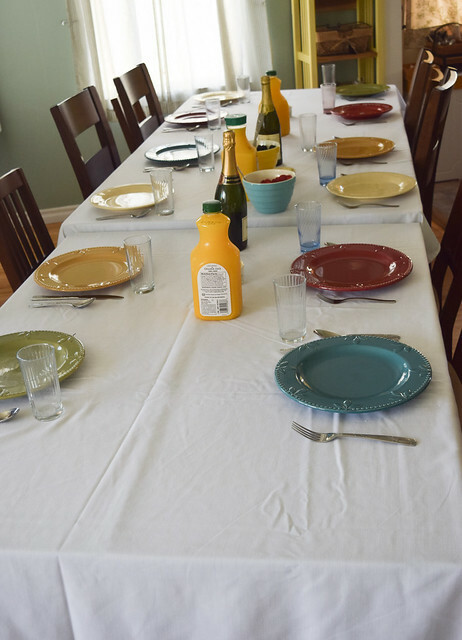 Does it include the family gathering around a table for a meal? or swimming in the backyard? or a day at the ballpark? I hope your dad feels honored this Sunday whatever you do. Even if it's calling him long distance. 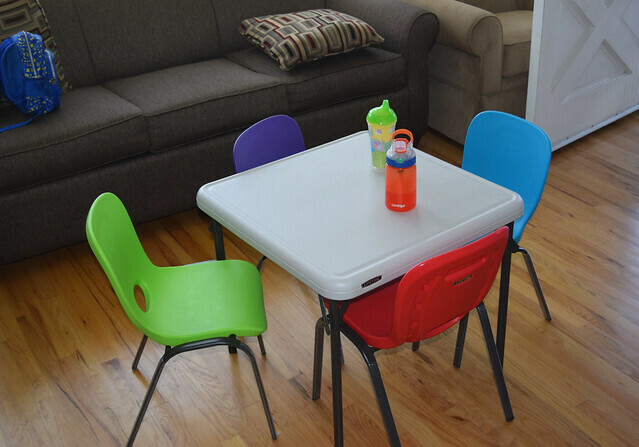 Don't forget to set a place for your little ones. "I think my mom put it best. She said, 'Little girls soften their daddy's hearts.'" The garden is filled with blooming native plants, to be enjoyed by people and insects alike. 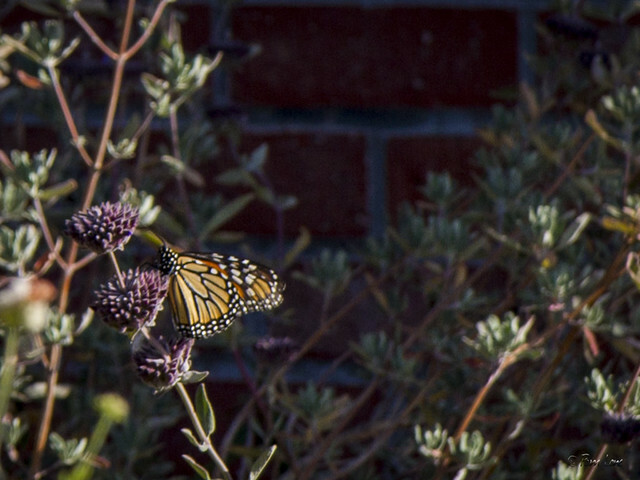 Monarch butterflies flitted from bush to bush (although they seemed to delight in avoiding my camera). Bees were doing a lot of flitting, too, but with them the avoidance was on my side. 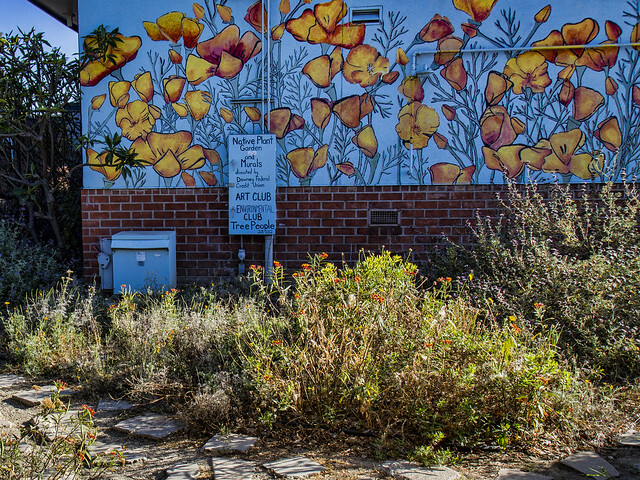 "Native plants give us a sense of where we are in this great land of ours. I want Texas to look like Texas and Vermont to look like Vermont." "Think it." "Prove it." "Do it." These encouraging words are the first thing that students and staff see when they arrive at the front parking lot at Warren High School. Think something up, find a way to show that it works, and then—make it happen! I always love when the jacaranda trees are in bloom. They look so glorious. They are this big, purple explosion of color. I find myself turning down 5th St. or Harper Ave.in Orange Estates, just to see the colors. 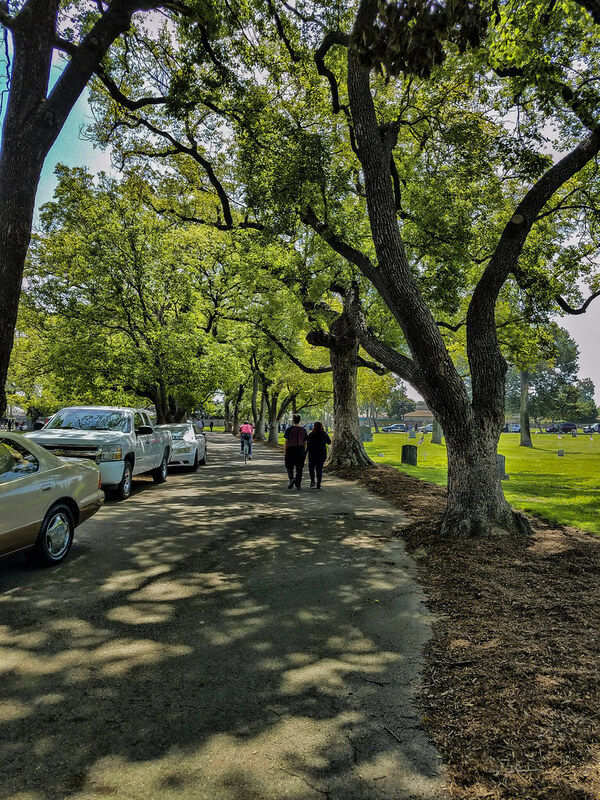 Today, as we walked to Furman Park, I couldn't resist snapping a picture of the color and the shadows. Of course, as much as I love the incredible purple color, I am thankful I do not have any of these trees close to my house. 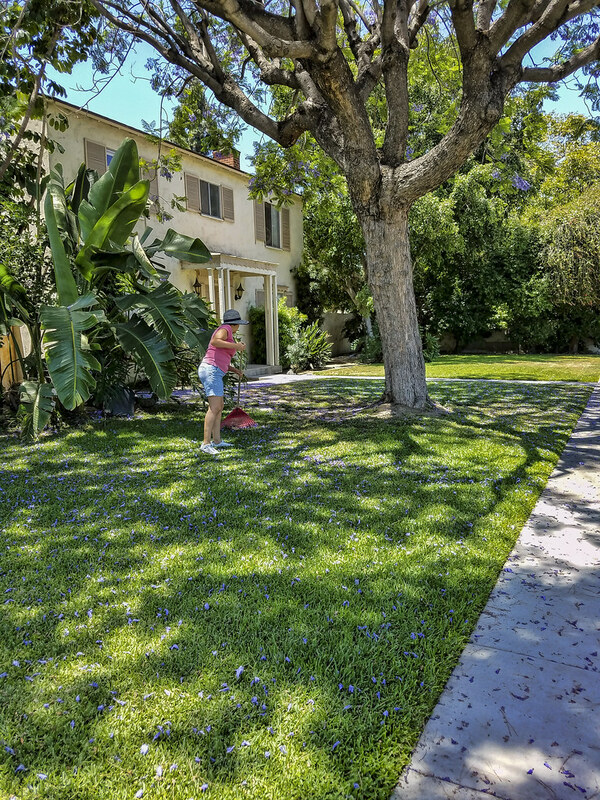 As you can see, this homeowner is raking the blossoms off her grass, which I have on good authority she does often! I like the long shadows that come as the sun sets low in the sky. "Sunsets like childhood are viewed with wonder not just because they are beautiful but because they are fleeting." I wonder if the construction people were thinking to themselves when they got to this spot to start construction on this building, "Will it fit?" It does fit, but barely. 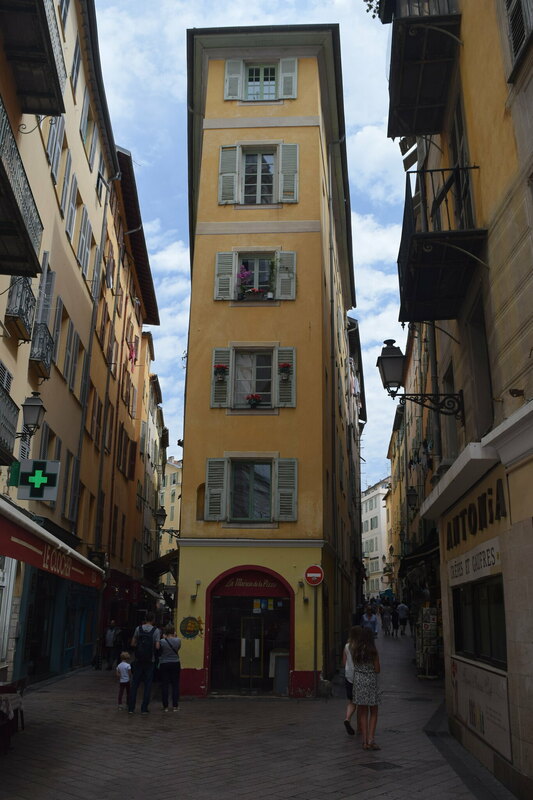 It is one of the charming aspects of the old towns in France, their narrow streets and putting up buildings adjacent to each other. 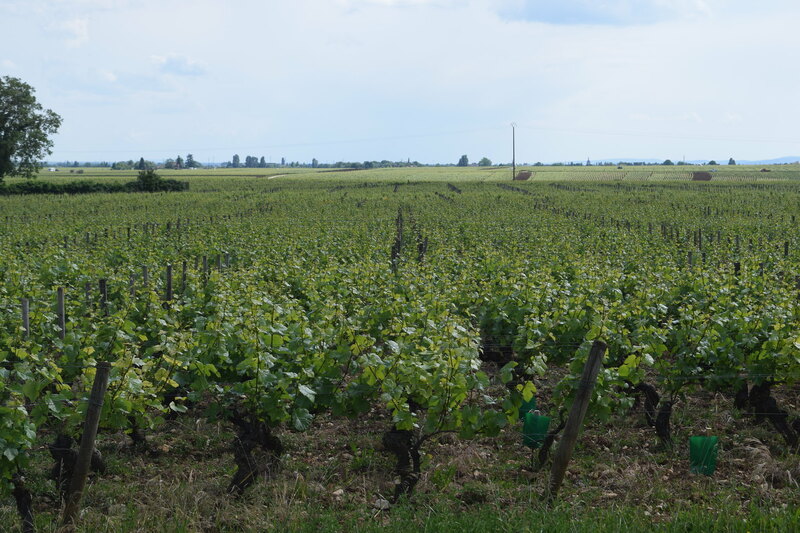 As we drove in southern France, we saw miles and miles of vineyards. During our travels, we stayed at a bed and breakfast owned by one of these vineyards. They told us that it is illegal to water the vineyards because the plants need to send their roots deep to get water. The average depth of the roots is 60 feet. They told us about how each plant needs to be trimmed during the season. Only two vines can grow off of a main vine. The other late comers must be snipped off. It is a very time-consuming and passionate affair. But the end result is worth the effort. 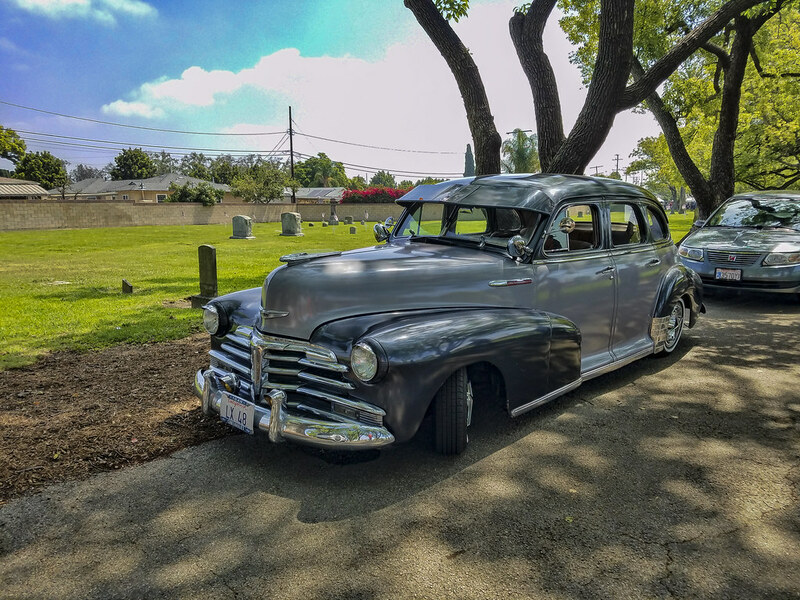 Last week, Pam wrote about the Memorial Day Ceremony at the Downey Cemetery. While we were there, I couldn't help but appreciate the peaceful feel of the surroundings. The path that led us to the ceremony is curved and shaded with beautiful, mature trees. There is something calming about walking through the grounds and reading about people who lived before us, many of whom sacrificed so we could have the freedoms we do today. This is the fountain of the Luxembourg Gardens in Paris, France. 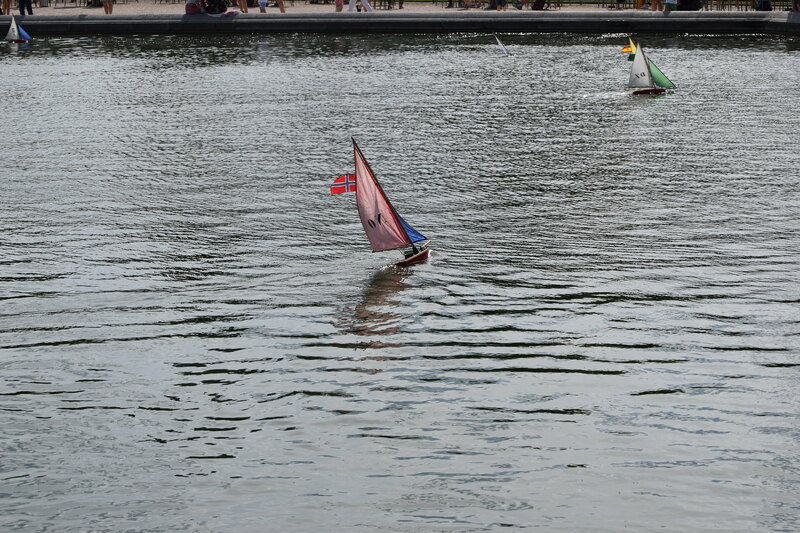 Every day, small sailboats are put in the water for children to play with. There is usually a good breeze to keep the sails full. Children have sticks that are provided to capture ships that come close to their spot. They use the sticks also to push the ships out to sea again. They then travel wherever the wind caries them. 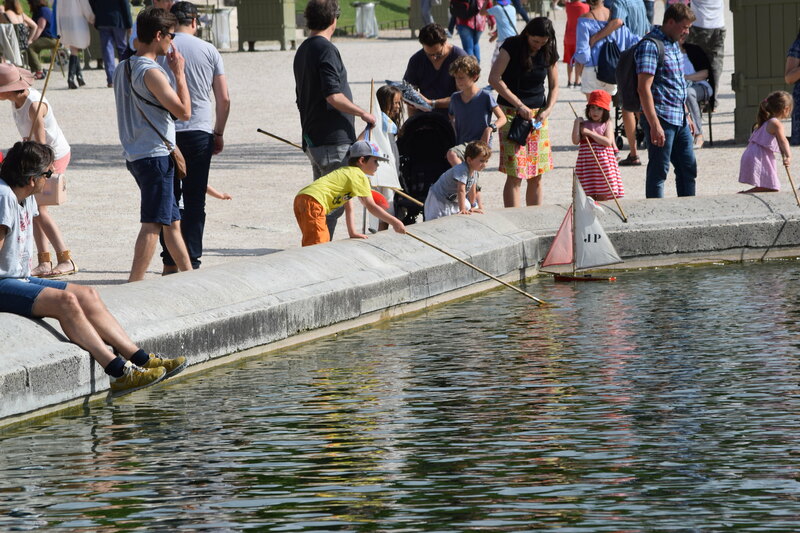 There are enough children around the fountain that someone will continue the process again. 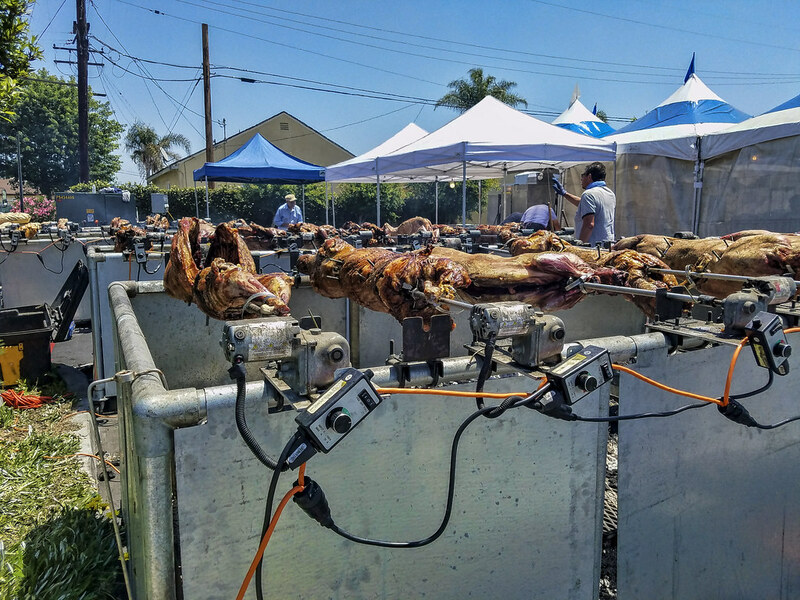 The Downey Greek Food Festival was this weekend. 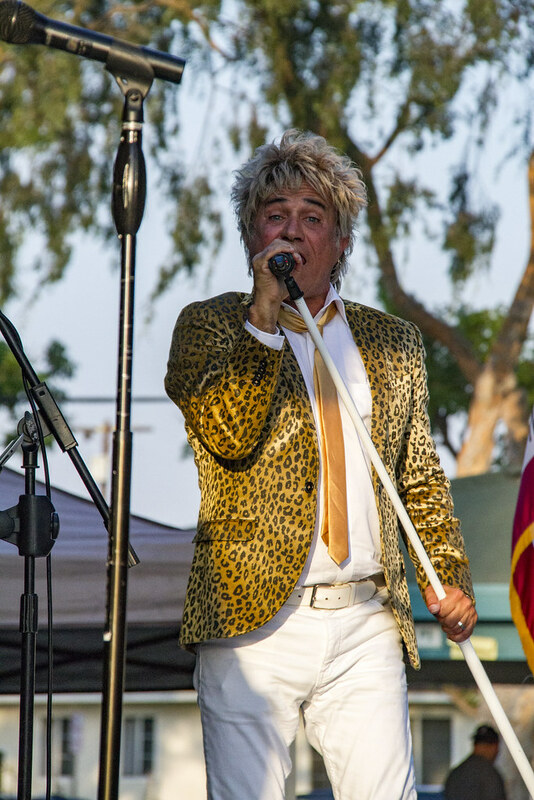 It is amazing to think that this was the 34th year of the festival. It is always a fun outing, listening to traditional Greek music, watching the performances, and of course, the food. I am always drawn to the lambs roasting on the spits—it makes for such a fun visual. This year, however, I opted to have the pork souvlaki. It was delicious!